Dr. Drew Lanham is an author, birder, naturalist, ornithologist, and hunter-conservationist from South Carolina. He is also an active board member for the National Audubon Society as well as several other conservation boards and Alumni Distinguished Professor of Wildlife Ecology and Master Teacher at Clemson University. Dr. Lanham’s literary works examine the connections among environmentalism, conservation, race, space, and history. He is the author of The Home Place: Memoirs of a Colored Man’s Love Affair with Nature. This publication received the Reed Award from the Southern Environmental Law Center, the Southern Book Prize, and was also a finalist for the John Burroughs Medal (Milkweed.org). Dr. Lanham’s essays and poetry have been published in Orion, Audubon, Flycatcher, and Wilderness; his work has also been included in several anthologies, including The Colors of Nature, State of the Heart, Bartram’s Living Legacy, and Carolina Writers at Home (Milkweed.org). 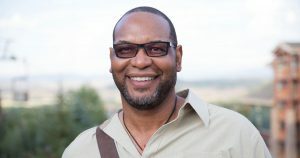 Lanham has also been featured in National Geographic and is well known for the video “Bird Watching While Black“, which was adapted from one of his essays, 9 Rules for the Black Birdwatcher. Dr. Lanham’s The Home Place: Memoirs of a Colored Man’s Love Affair with Nature and other work may be purchased at Square Books in Oxford. For syllabi consideration, this event’s applicable subject areas include, but are not limited to African American Studies, English, Poetry, History, Ornithology, Ecology, and Biology.